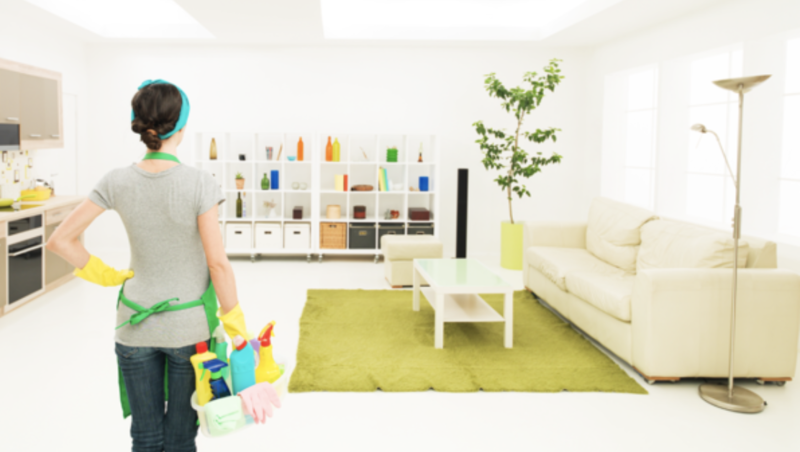 Keeping a spotless vacation rental is important to impress your guests. These six handy vacation rental cleaning hacks will be sure to make your rental shine. A smart place to start is with tall pieces of furniture. This way when you dust tall furniture, the dust does not dirty your previously cleaned floor. A quick fix for wrinkled sheets is ice cubes and some heat. By putting sheets in the microwave with ice cubes for about 5 minutes, you will have perfectly steamed linens. Keep stain remover handy between guest visits to avoid long-term stains on your carpet! Unbelievable is my secret weapon for any carpet stains. Be conscious of the products you are using for sensitive amenities such as hardwood and marble. Do your research on the right product, and be sure to avoid any products with bleach or acid. Vinegar is a great way to remove those pesky water stains. Simply put a small amount of vinegar on a wet wash cloth, and wrap it around the water stained area, for example a shower head. Wow! great cleaning idea. Your all ideas are awesome. Thanks for the sharing such a nice post.